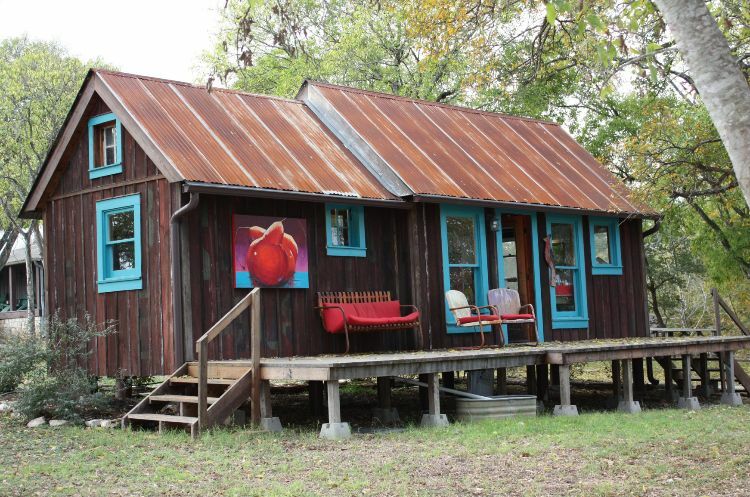 Brad Kittel created Tiny Texas Houses to prove that sustainable organic houses could be built from salvaged materials and without toxic building materials. 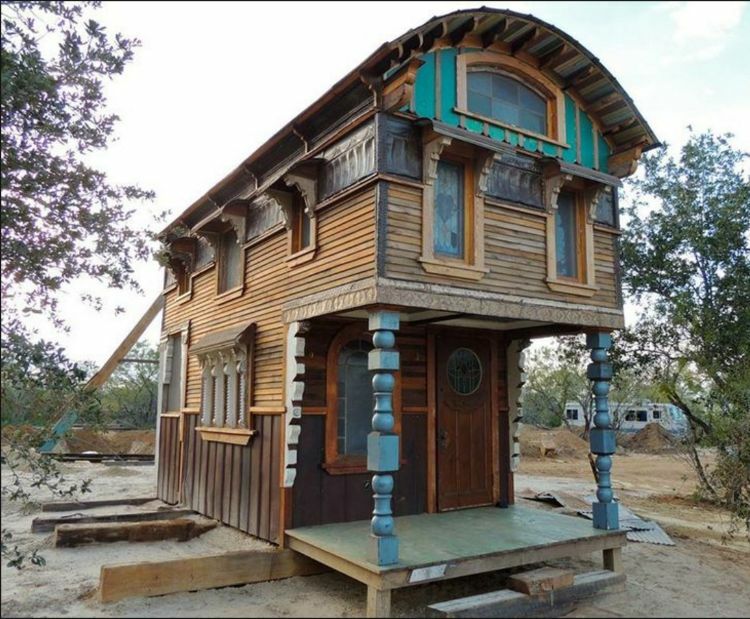 Through his efforts, he's proven that tiny homes can be built from recycled materials, to be energy efficient, and enduring. 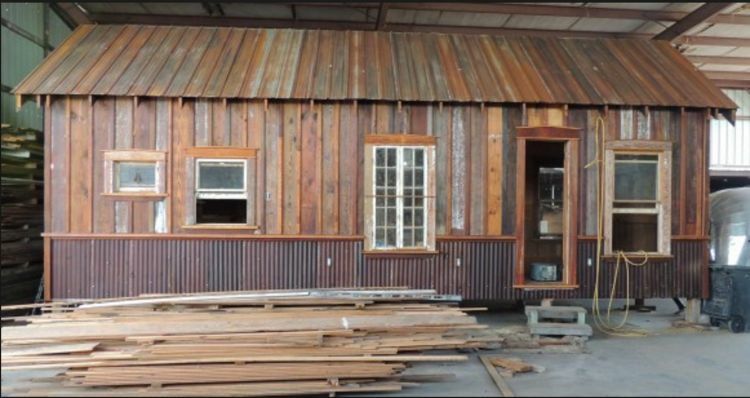 We recently interviewed Brad to get his take on Smaller Living and to find out just how easy it can be to use salvaged materials to create a comfortable and efficient tiny home. 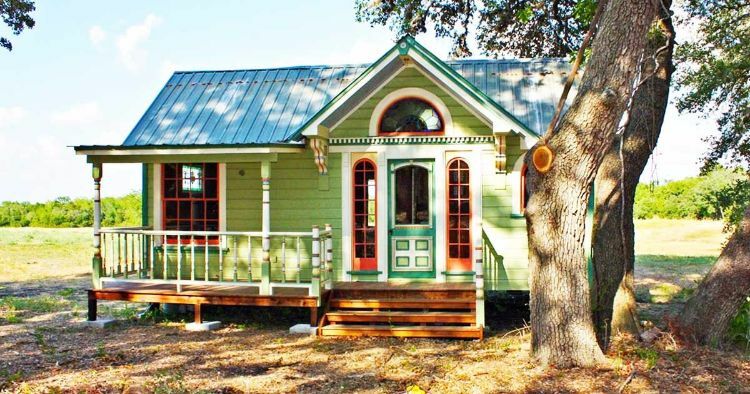 What makes you stand out in the tiny home market - what are you known for? 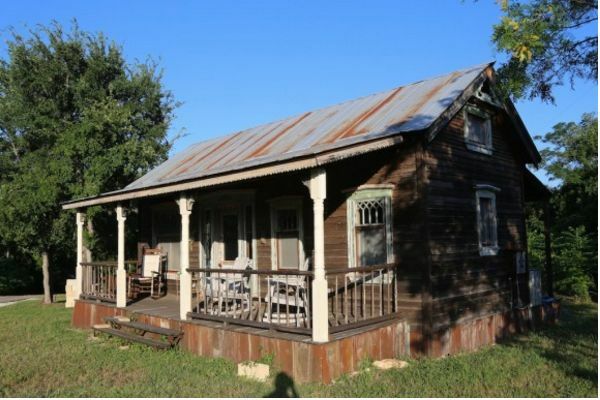 I created Tiny Texas Houses to prove that we could build sustainable organic houses that were 95% Pure Salvage, no imports, and few, if any, toxins that are found in most new building materials. I proposed and proved we can do this and create energy efficient houses that can last for a century or more once built, not dissolve over 15 years due to built in obsolescence. 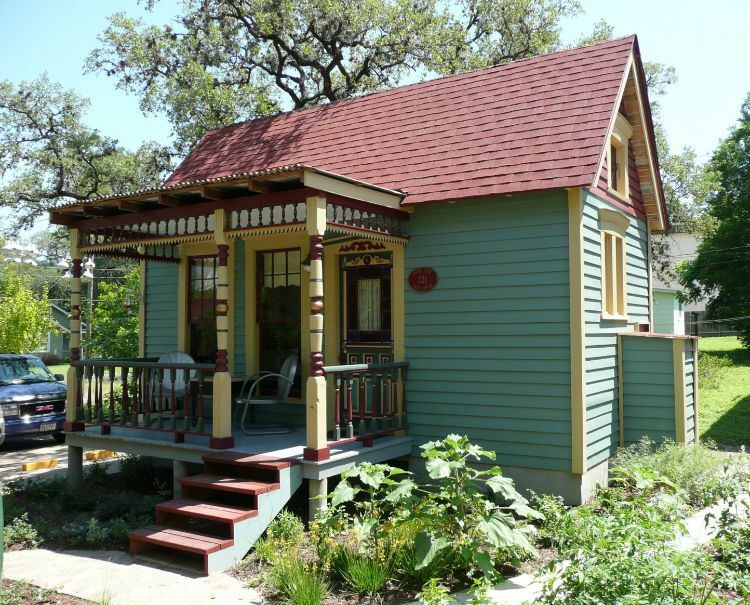 What model(s) of tiny homes do you offer and what are their price ranges? I never offered models, but instead one of a kind examples in different styles of classic architecture design that creates an effect I call Space Magic and allows a space to feel much bigger than it is and thus maximize the use of the space. 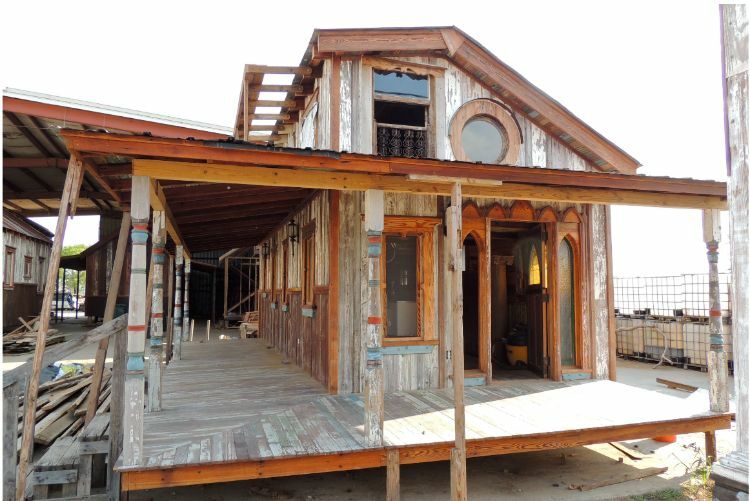 The Monty Grand Victorian, the Vesper Casa, Miss Lilly, and my own house, Temple Tantra, are all my favorites though I have over 75 pieces of House Art in use now and spread from Texas through Oklahoma up to the Bad Lands in the North. It is all inspired by the simple desire to show there is another path we can take to downsize that is sustainable, healthy, and even transportable if one desires. Toxin-free houses full of healthy air, energy efficient cooling using the Venturi Effect, space age Icynene insulation, and other tricks that no one else seems to want to do the work to create. 95% of my houses can be built using less than 20 gallons worth of diesel fuel worth of energy to take from old houses, barns, and buildings. More energy is saved before someone moves into one of my houses by not smelting iron or brass to create hardware, glass, tubs, sink, or shower tiles. No imports, toxins, waste, or reason not to simply take human energy to salvage old treasures from our ancestors time when 12-year-olds pulled the coal from the mine and sharpened the saw blades in the mills. That is why I am proud to share how to do this with everyone for free on my sites. 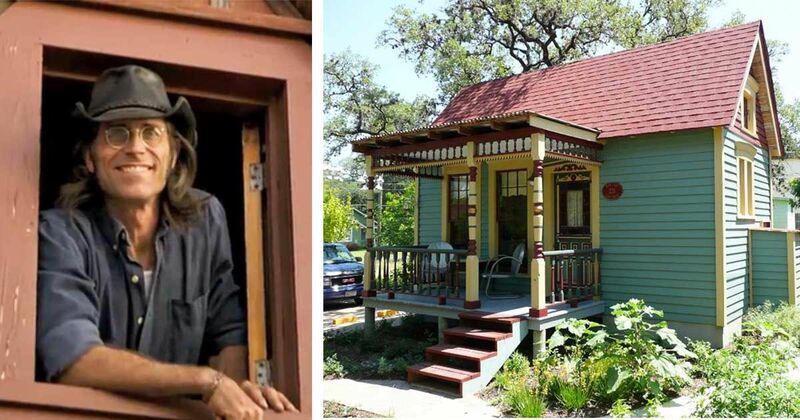 Many people are building their own tiny houses themselves, even if they don't have any designing or building experience. As professionals, what advice would you give them? Use salvage, not toxic chemicals like formaldehyde, plasticizers, vinyl, latex paint, fiberglass, carpet, engineered plywood floors, etc. There is only a small amount of air, barely enough for two people in a house over night without an air exchanger and few put them in. Think before you make yourself unhealthy, or worse, damage your children's brains for lack of clean air to breath. Build smart, not cheap. Do your due diligence to know what you will breathe and make part of your body. What's the best part of living in a Tiny House? I live in a house that is about 300 square feet and does not have running water or AC electric. I love it and have become healthier than I have ever been in 60+ years since making the change in my lifestyle. I love my home. Life is better, simpler, and healthier when you can do more of what you want and less to pay bills for that which will never bring you happiness. Life hours are too valuable to waste working to pay insurance, taxes, and interest.